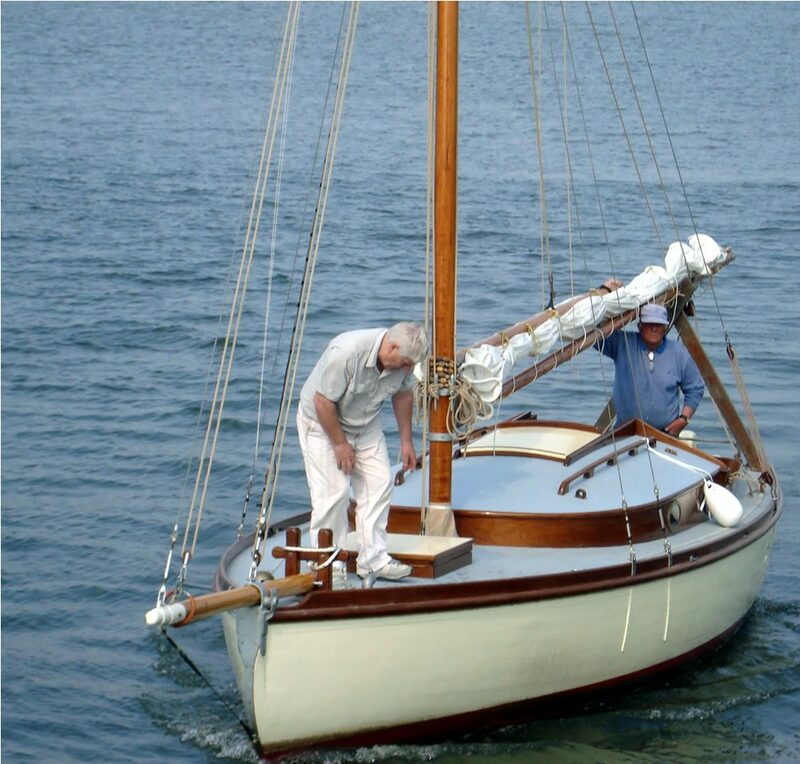 Certainly not the first voyage for 'Phyllis' but for me in her! 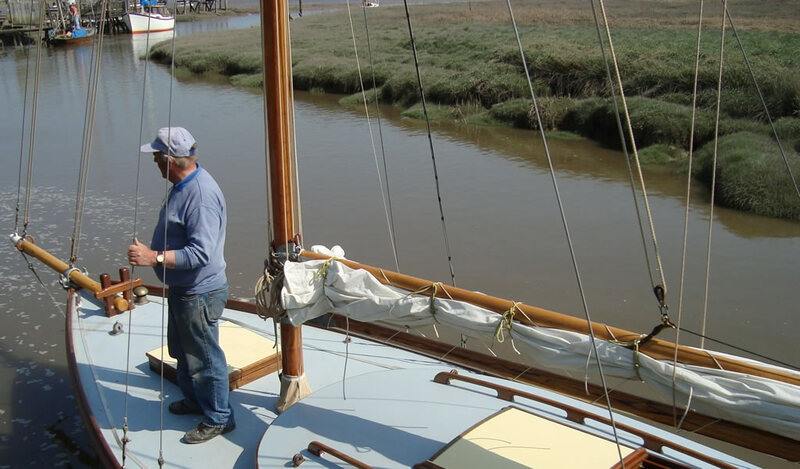 After her launch in July 2010 and winter berthing at Skippool Creek, it was time to venture further afield. 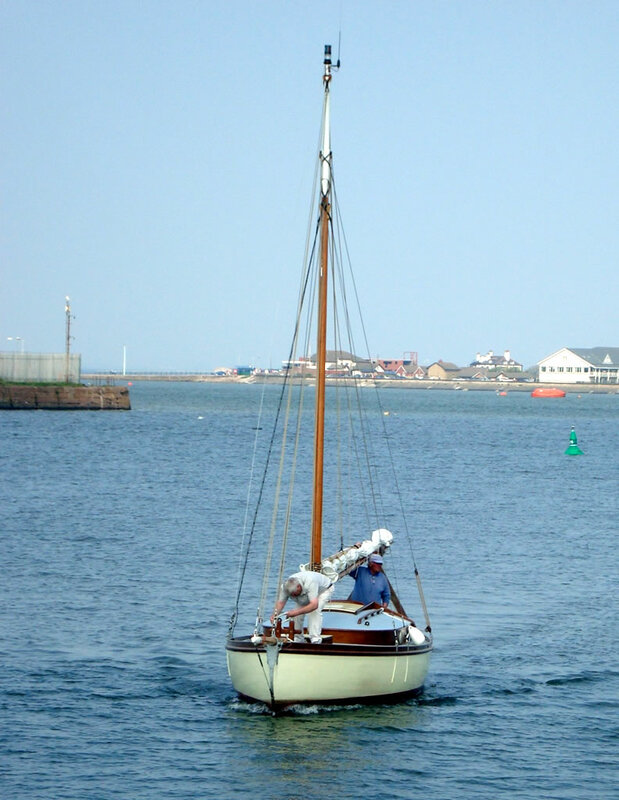 With the impending Annual Nobby Regatta, she was booked into Liverpool Marina for the summer months. On a hot afternoon ( 21 April 2011) we set off for Liverpool via an overnight stay in Fleetwood Marina before catching a very early morning tide. Bob Raynor, an exceptionally experienced Nobby skipper and his mate were to accompany us on her first sea trial. High water time at Skippool Creek to ensure we cleared the creek en route to Fleetwood Docks. 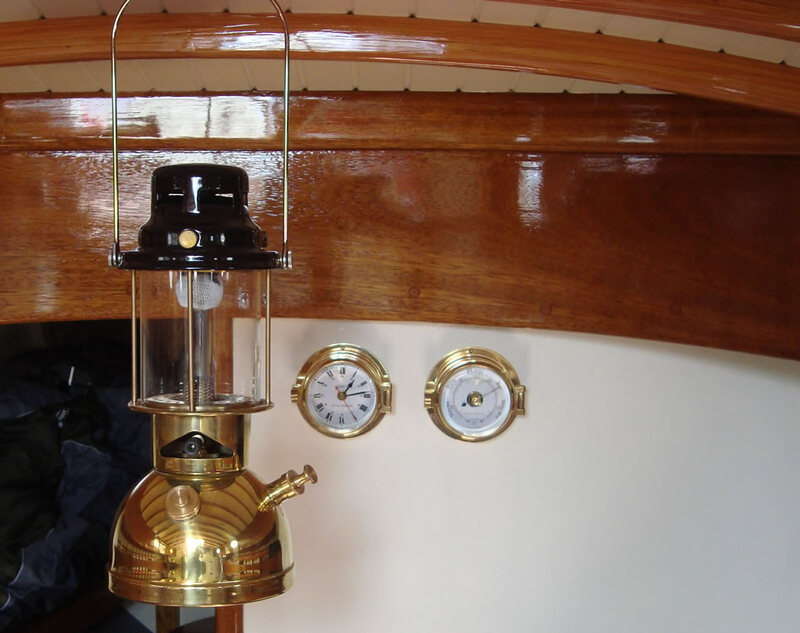 The barometer pressure rising nicely. Final checks before pushing off from the mud berth at Skippool Creek. 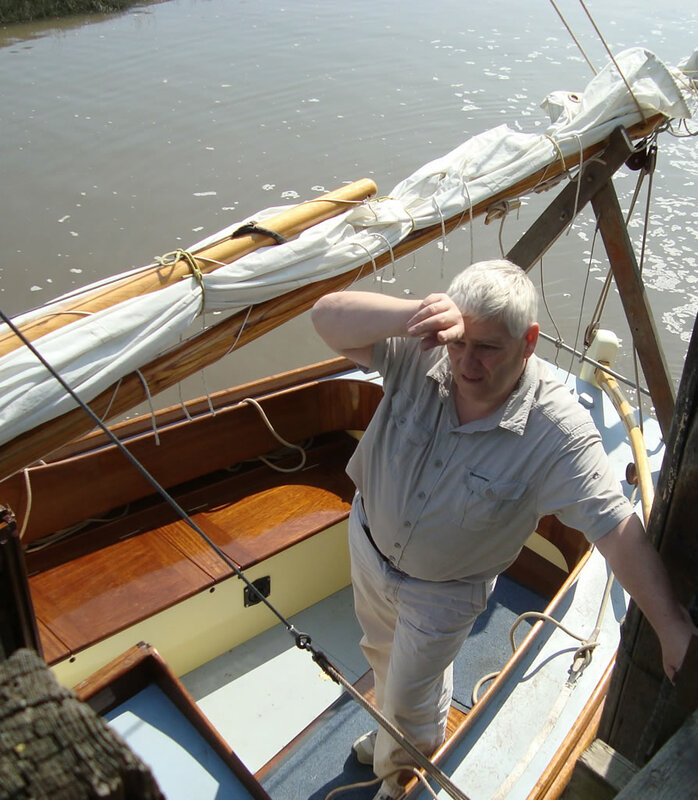 Bob Raynor keeps an eye on the bowsprit. 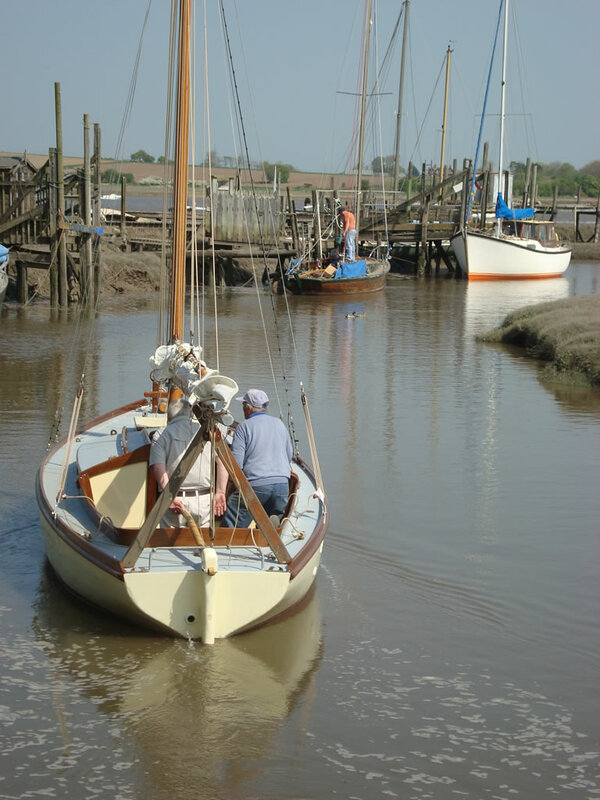 Leaving the berth in the creek. Towards Knott End and Fleetwood. 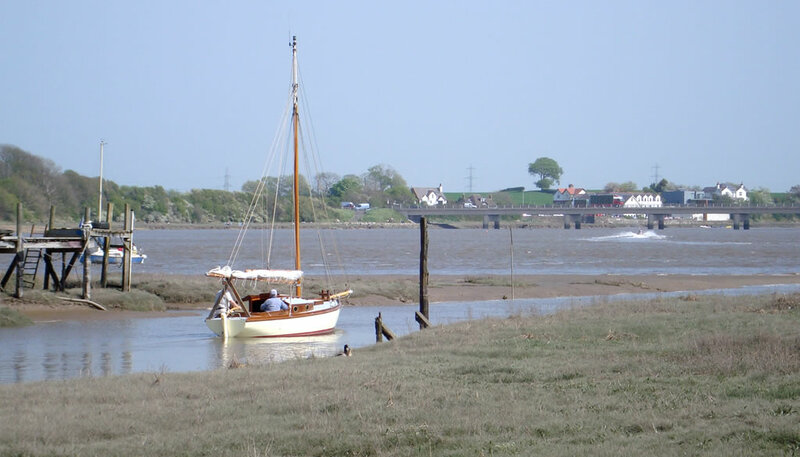 In the channel to the fish dock at Fleetwood. 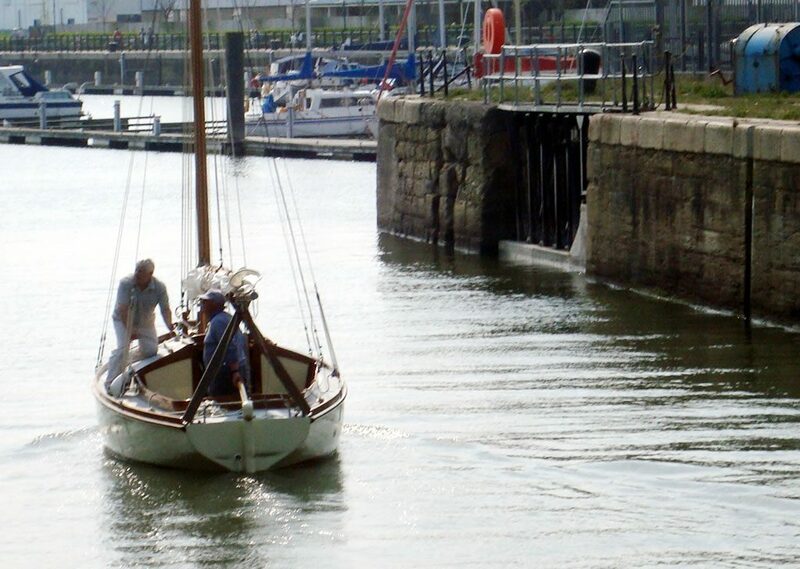 Entering the sea lock at Fleetwood marina. Entering the marina from the sea lock. 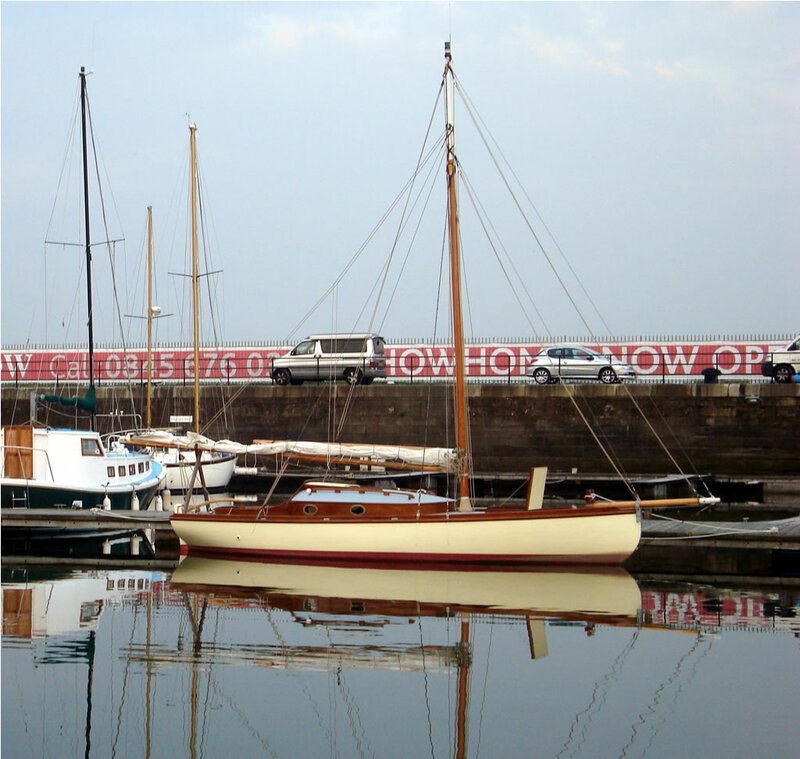 'Phyllis' on berth in the marina. 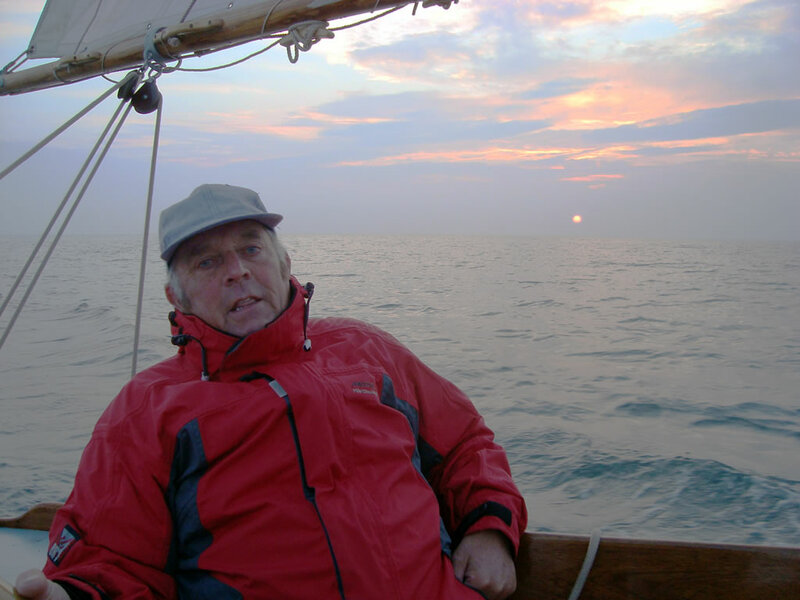 Sunrise off the Fylde Coast with Bob Raynor at the helm. 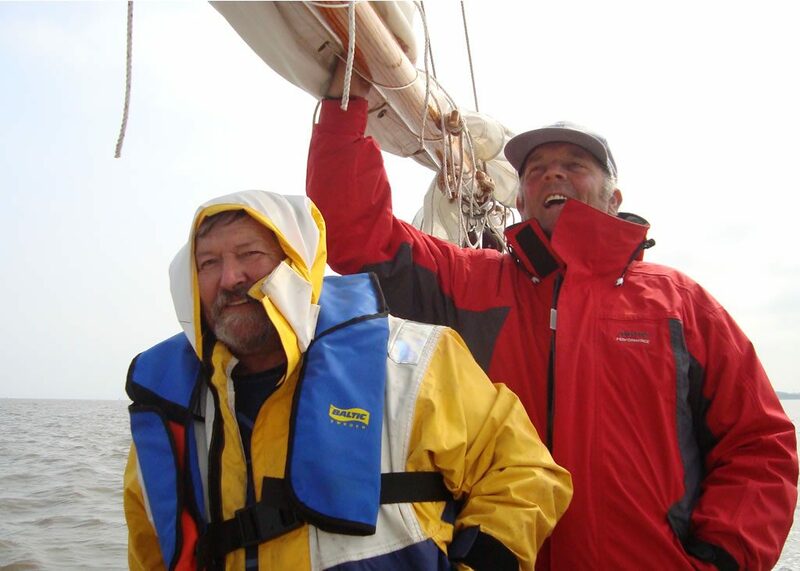 Bob and his mate who volunteered to crew for the trip to Liverpool. 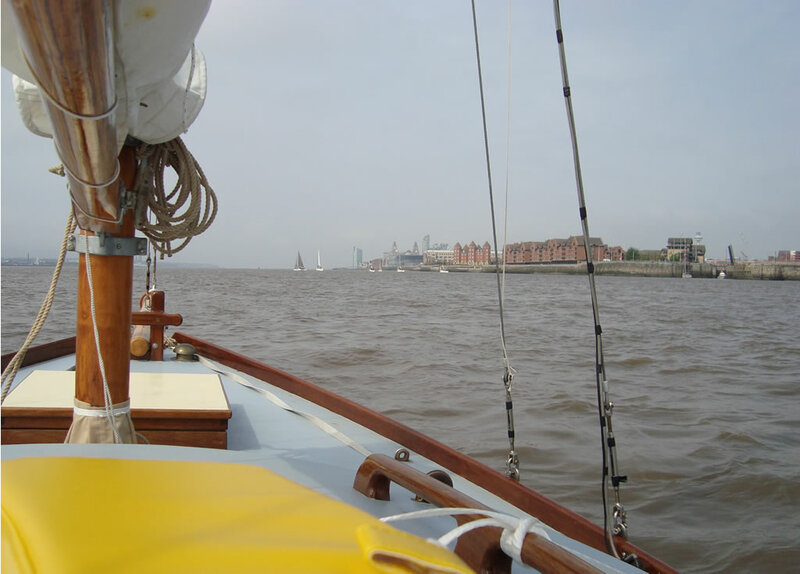 On station, River Mersey, awaiting clearance to enter the sea lock to the marina.